STREAMLINE YOUR CALL CENTER QUALITY MONITORING AND STOP STRUGGLING WITH SPREADSHEETS. A great customer experience is no longer a luxury. Managing quality in call centers is a serious business and spreadsheets just arenít fit for purpose. Scorebuddy is purpose-built software for call center professionals that need to put a formal quality process in place to ensure that every customer, no matter the channel, will enjoy a great customer experience. Scorebuddy saves time, increases accuracy and delivers an exponential return on investment. On average our customers gain 5-8 times ROI. Some global brands trust Scorebuddy to manage the quality of their customer service across the globe. Scorebuddy is used in over 20 countries with over 40,000 agents each month. 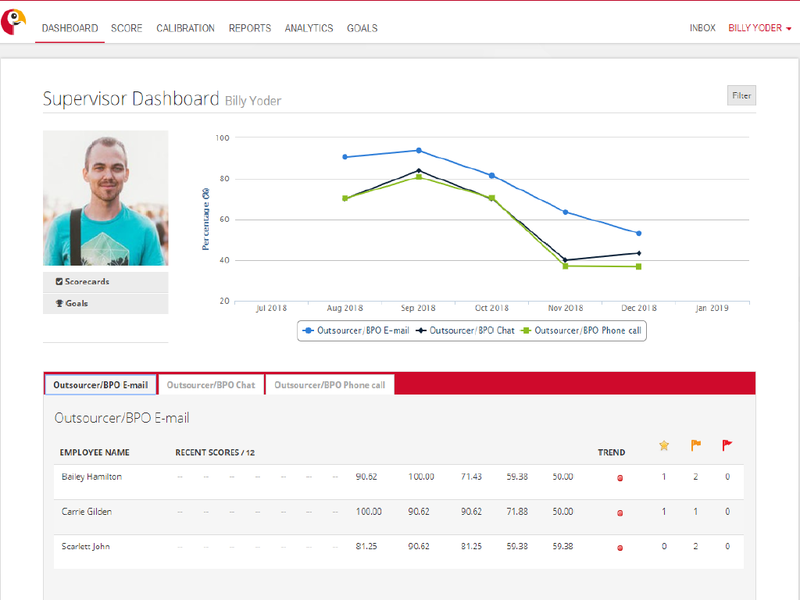 Take a Free Trial and see how Scorebuddy could help you and your team. How much time do you spend gathering your call center data? 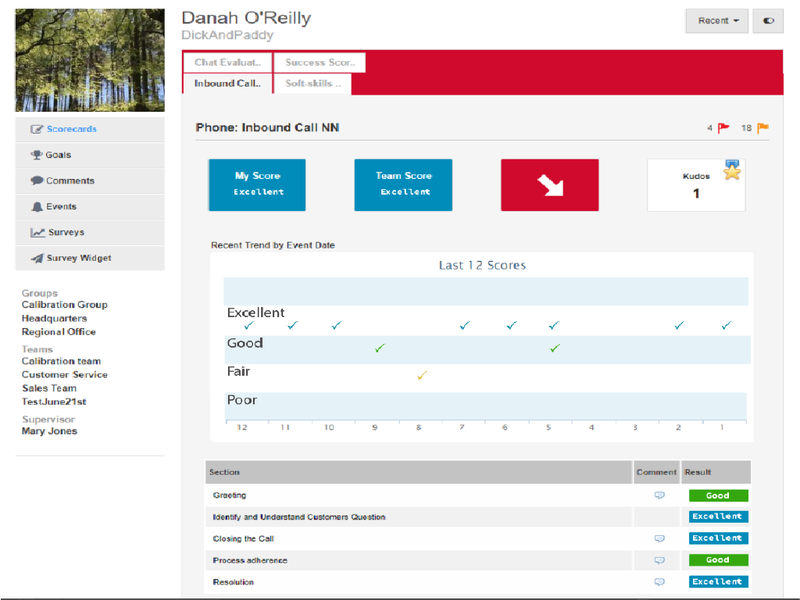 Whether you are meeting senior management or giving agent reviews, building reports takes time. If you are using spreadsheets, building reports is probably taking lots of time! Time spend building reports has no value, you are wasting time that could be spent analyzing reports and making decisions. Dig deep into your call center’s quality scores to carry out root-cause analysis, identify common pitfalls, broken processes and training gaps, or catch people doing a good job! Scorebuddy’s powerful analytics tool allows users to report in 27 ways at the click of a button. 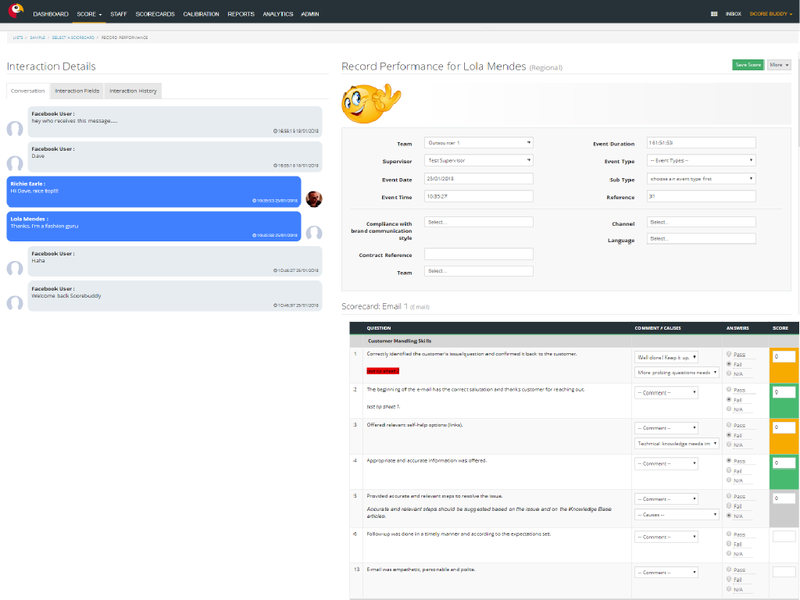 Scorebuddy’s agent engagement and collaboration solution delivers real-time feedback, integrated audio, and coaching tips to provide agents with performance improvement opportunities. Scorebuddy’s agent engagement platform is proven to reduce attrition by providing transparency and collaboration through a simple intuitive portal. If you are using spreadsheets to monitor quality in your call center, we understand your pain. We know that if you are relying on spreadsheets, you cannot be looking at quality in a tactical or even strategic way. Scorebuddy provides you with the platform to build this framework, which will in turn take your quality to the next level. Fill out the form and validate your email address. Your account will then be created.